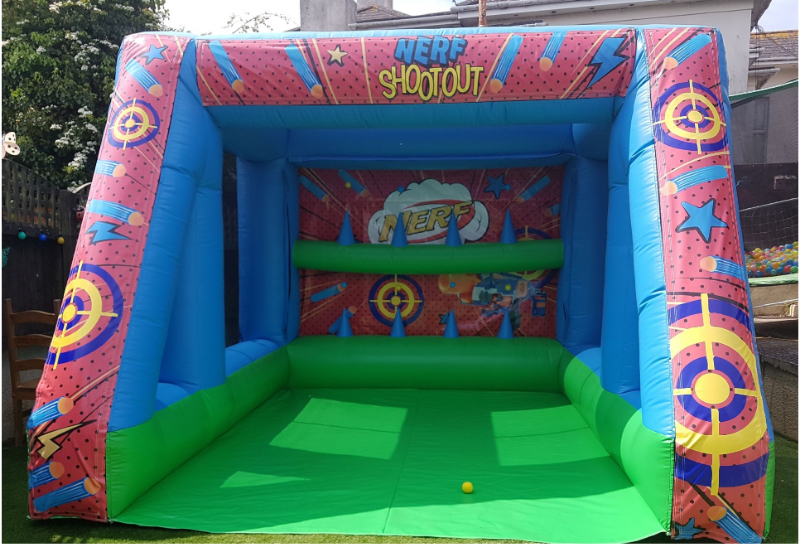 Nerf shootout range for hire in liverpool, Widnes. The name of the game is to knock as many of the balls off the air jugglers at the back. You get two nerf guns with enough ammunition.